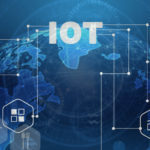 According to Gartner, the IoT connected devices will surpass the figure of 20 billion by 2020. 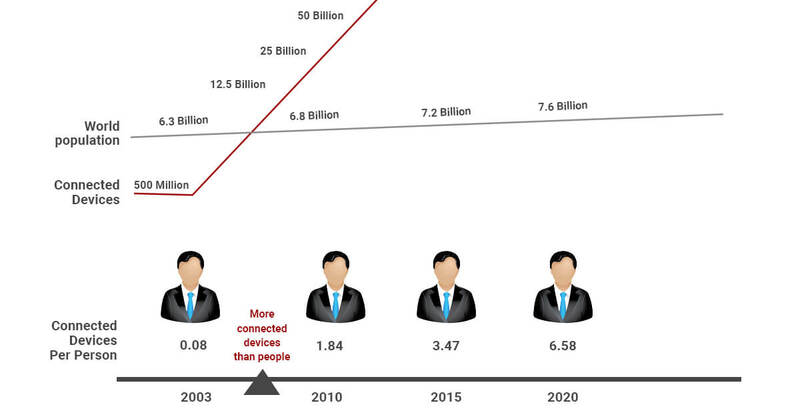 It would be fair to assume that IoT-driven devices will exceed the total world population real soon. Admit it or not, the growing prominence of the Internet of things and its solutions doesn’t cease to amaze, and its vast impact is noticeable. Everything is becoming smart nowadays, i.e., smart homes, offices, devices, and so on. Constant data sharing makes IoT devices prone to specific security threats. Today, almost every industry is adopting IoT. If we consider its broad adoption and the potential vulnerabilities altogether, testing hence occupies an essential role in the entire process of IoT. Testing is not an easy task in fact it has become way too complexed. Testing will be revamped and get a new dimension in the world of IoT devices. The duo of testing and IoT is as cumbersome as it is interesting. However, the role of the testing framework will gain tremendous momentum in this Internet of things-driven world especially in 2019 and beyond. What role does testing play in IoT-driven devices? Internet of things includes wearables, sensors, gateways, connectors and so on. Along with IoT devices, the protocols are also making the testing methodologies even more complexed. How? The smaller the device, the higher its build complexity. Apart from security and data privacy issue, its dynamic environment, fragmentary automation, consistency, scalability, and real-time complexities, etc., are taking the challenges to a whole new level. 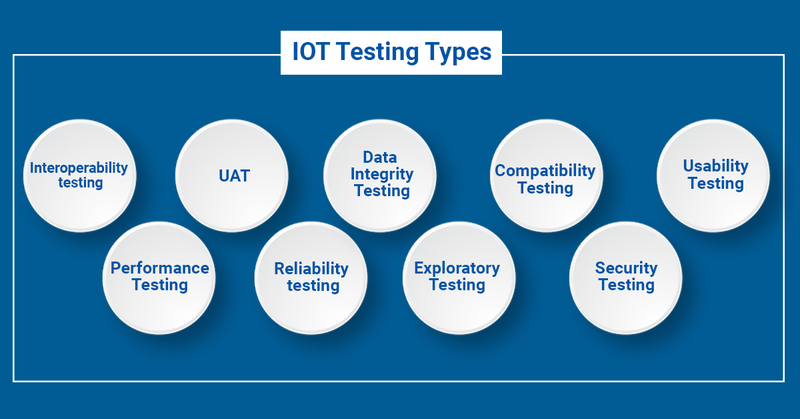 Such problems are the reason why there are a few critical testing types that are required in IoT namely, security, performance, user experience, reliability, data integrity, compatibility, and exploratory testing. Security testing aims to ensure quality by testing the information security and confidentiality of the system. Performance testing validates the various components of IoT devices like hardware and software with other test cases to ensure scalability. User experience testing provides excellent user experience and overcomes usability issues. Reliability testing ensures creating an IoT test environment by using different technologies. Data integrity testing handles a large amount of data to ensure integrity in that big data. Compatibility testing provides compatibility issues which can arise due to the interconnectedness among the devices. An exploratory testing address the real-time issues faced by the users and ensures the smooth running of the applications. 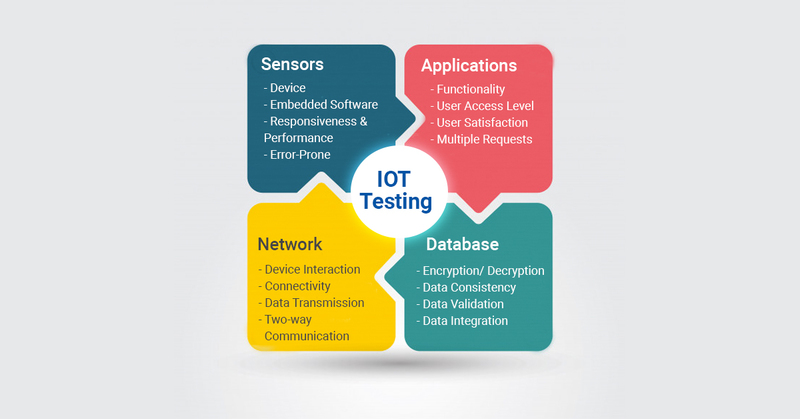 Latest trends in IoT testing framework 2019 include the use of artificial intelligence not only to propel the automation or for faster deployment but also to enhance the efficiency in all the areas of IoT testing. Use of big data in testing harnesses the power of various analytical tools, frameworks, and techniques to test the large data generated by IoT devices. Thorough data tests are done in terms of its volume, variability, and variation. As IoT is likely to face scalability issues, microservices has replaced the traditional testing architecture. Its deployment helps in reducing the complexities involved in the testing of a massive architecture. Each microservice is easily testable in the form of an individual process. Another such approach required in IoT to ensure safety is continuous security testing. As more and more devices are getting connected at an astounding speed, higher are the chances for loopholes in its network security. It is often a prevalent practice among the software professionals to execute security or load testing at the end when the developer is done developing. Rather than considering it as an ongoing process, it has become more of an afterthought, which must not be the case at all. The best security practice is to inculcate the testing as a thorough and continuous process since the inception of the IoT software development cycle. Few of the IoT software testing tools which are widely used include Wireshark, Shodan, Tcpdump, Soasta Cloudtest, and Thingful, etc. The IoT connected devices need to be checked on the factors like speed, stability, sustenance, stress, and strength. IoT botnets are becoming a significant cybersecurity threat as they keep growing stronger day by day. The hijacking of such IoT devices can put billions of dollar in danger and lead to the compromise of confidential data. The problem intensifies when developers are developing at an excessive speed, and each software is linked to some other software. Testing in such a case is complicated. These scenarios don’t allow us to stay streamlined with the best security practices and cope up with other cyber threats. Continuous security testing can solve this issue by maintaining the desired quality, to a great extent. 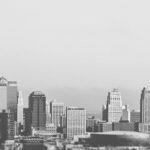 The traditional approach of manual testing no longer supports here, so testers are now relying on the automation testing techniques. For test automation to realize its full potential, it is essential to recreate the same environment which was there in the stage of production. Otherwise, the results can vary. 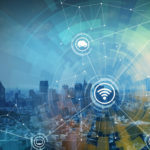 It is relatively more comfortable to run a test assessment of a web page, but the complex interconnectedness among devices in IoT makes assessments and testing much harder. Service virtualization strategy is hence prominent in the context of IoT. These strategies can effectively overcome the security or other possible hindrances which are present in IoT. It should be noted that sometimes it is not possible to test every software release in IoT. It would be best if you found out what are all the factors you can not test. However, security should not be compromised in the underlying process. You can minimize time to market and meet the deadlines without jeopardizing anything. If you are concerned about the areas which can be avoidable for testing with each release, you can look in the records and find out the cases which have to remain the same even in the successive versions too. We can conclude that this era of ‘unified embedded devices’ is not easy at all. Testing of sensors, application, network and database in IoT will require much recalibration. Therefore, QA will indeed get revolutionized in the IoT dominated world. To stay aligned with all those rapidly occurring changes, QA surely needs to reform its testing practices. For leveraging the most out of the IoT technology while combating the underlying threats, software testing teams need to involve in real-time intelligence and have to follow these guidelines mentioned above. If you have any questions on IoT testing or want to know more about it, we will be happy to assist you Contact our expert team today. What is IoT CoAP Protocol?